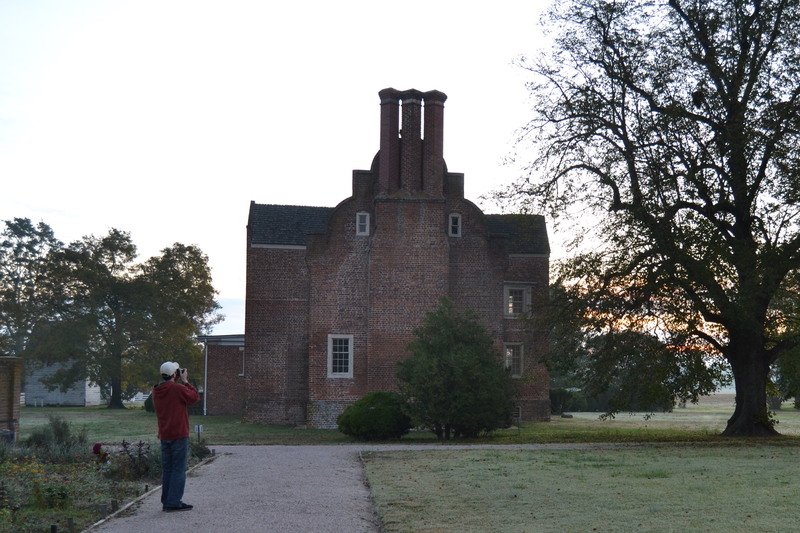 Recently, Marshall & I headed out at “0 dark thirty” to catch the sunrise at Bacon’s Castle. He and I both have many, many photos of the house and property, but realized we’d never been there at that time of day. It was a beautiful morning to be up and about so early. Marshall says the Castle just begs to be photographed. 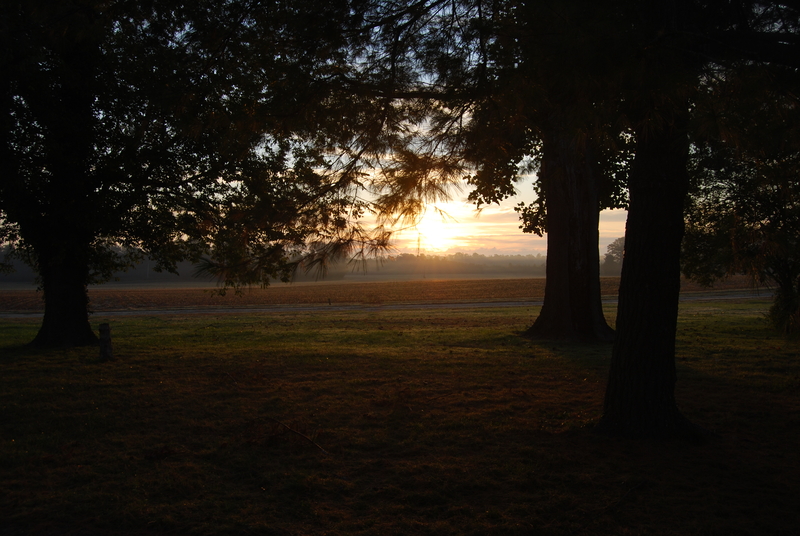 I love this one that he took of the sunrise through the trees on the front lawn. And this one of the barnyard area at golden hour. Even with algae on the fence, it’s still a beautiful photo. 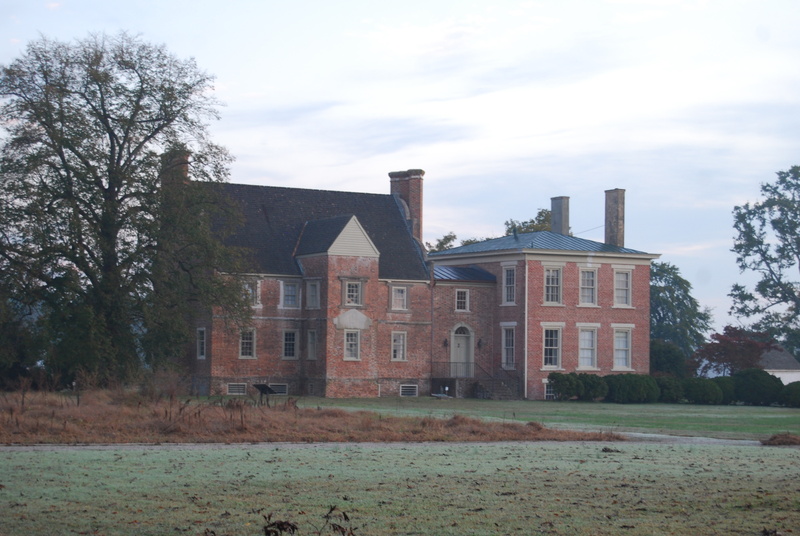 When Bacon’s Castle was built, the front door was in the area of the house that’s illuminated in the morning light in this next picture. It was known as the porch tower. 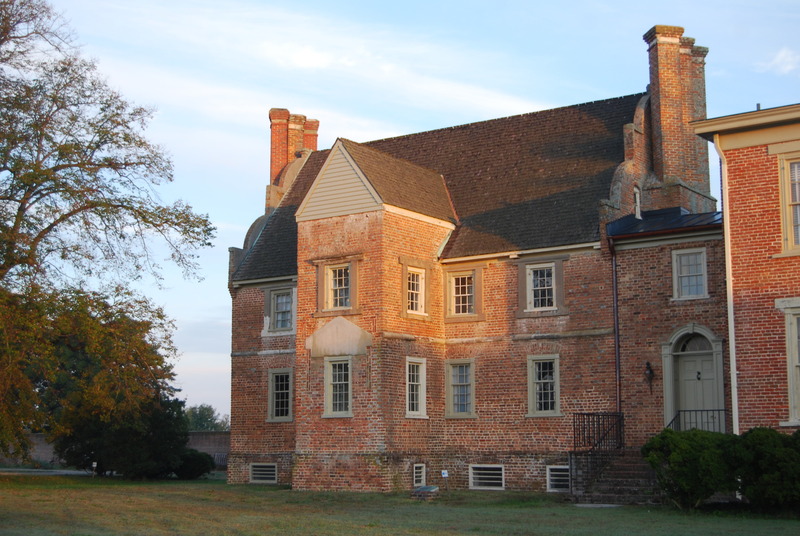 Sometime in the 1700’s, an addition was built and joined to the original house by way of a “hyphen”. The front door was then moved to the hyphen. Yes, this house begs to be photographed. And Marshall and I oblige every chance we get. You are right – it’s just waiting to be photographed. I love the picture of the sunrise between the trees. Great shot!!!! (smiling) I guess I’m up early to see the sunrise. 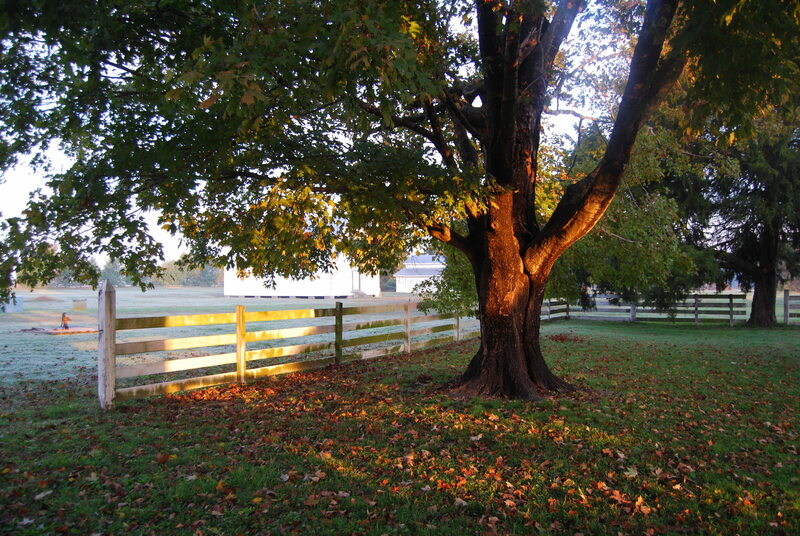 Beautiful photos of a beautiful homestead. All those chimneys must have kept the house warm at this time of year. I am so glad to see these photos from all angles and in such perfect morning light. It is such a special, beautiful place. More great shots, but this time of your favorite things all together! Definitely a keeper. Did you have the sense of seeing it as your ancestors did at the first light of day? No wonder its so special to you. Beautiful photos…well worth getting out so early. Not so spooky at the Golden Hour! Thanks for posting such great pix! I just LOVE old brick. So beautiful in that light! You’re right about the photo Marshall took – misty morning magic. And I love that you have a shot of him taking the shot! i love that shot thru the trees too! what a grand place! Definitely! Your son is so right, this house begs to be photographed. Your pictures captivated the allure perfectly! Your golden-hour glimpses of Bacon’s Castle are stunning, Dianna, and I love your “o dark thirty” time stamp! 😉 I may have to copy that and use it later. That’s the time I usually get up-and-going when we’re about to take a trip(!) 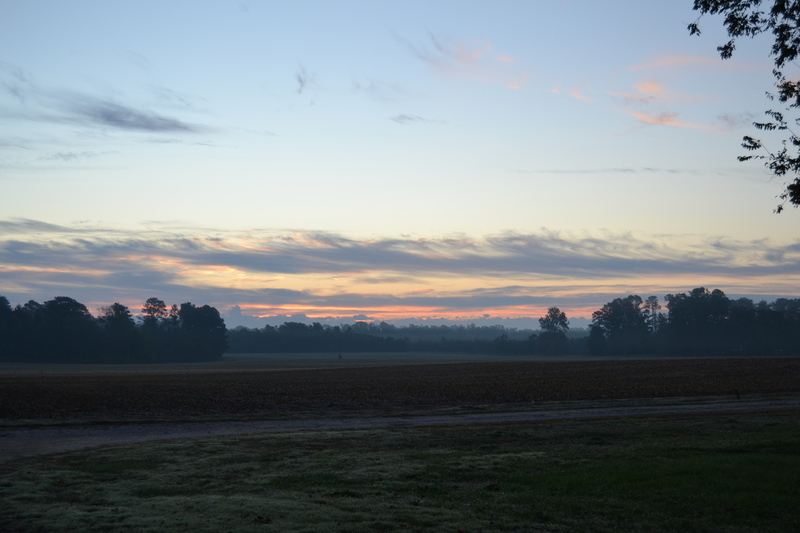 Thanks for sharing your beautiful early-morning scenes with us. Surry. It is great to see part of my home’s history. These are some amazing photos and the castle looks so beautiful in the morning light! This structure is so impressive and imposing. The light softens it considerably. Beautiful photos, as always. The Castle really is beautiful Dianna! Great photos one and all! Love your photos – I will post mine on my blog sometime!